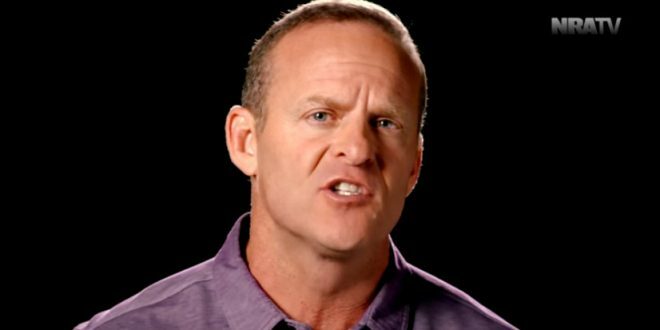 NRA TV Host: Buying Guns For Teachers Is A Better Use Of Federal Money Than Buying Textbooks For Students - Joe.My.God. “Texas is asking to spend federal Department of Education grant money to buy firearms for teachers that have gone through the state’s school marshal program. Teachers trained to carry firearms in school, in firearms, and the state needs permission to use federal money to do that. As you can imagine, the left is melting down. I would argue of all the things schools use federal grant money for, this may be the most legitimate. “It falls into the core functions of the federal government, provide for the safety and security of its citizens. In fact, using federal tax dollars to buy guns for teachers is more in the boundaries of what the federal money should be used for than even textbooks or after-school programs. Guns in the hands of good guys has a direct impact on our safety, a core function of government.” – NRA host Grant Stinchfield.